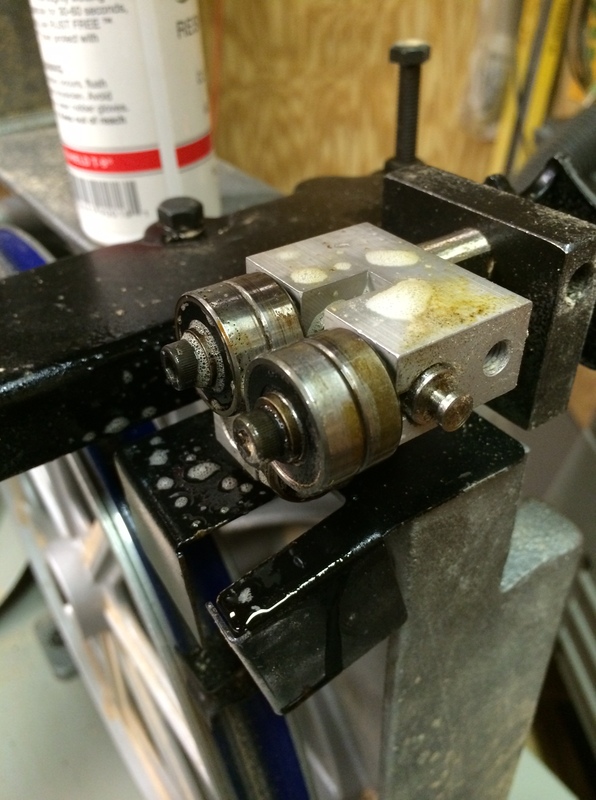 I’ve long since replaced the drive belt on my bandsaw with a v-link. I did that before I realized that the reason the original belt had been slipping was because I had not tightened the belt tension properly. I’ve left the belt cover on since that replacement, and as I was cleaning up the saw, I removed that cover. I was amazed at the pile of dust that had collected there. I wish I had taken a picture – the box was probably 1/3 full of dust, and the thought of that dust being in contact with the belt pretty much convinced me that this should be part of the yearly tune-up! 3. lubricate the thrust bearings and guide bearings (I used the Carter stuff) I’m going to need to replace some of these… only a couple spin freely, and one feels rough. I use a blade and bit cleaner for this step, to remove any build-up in the bearings. 5. clean off the trunion mounts to remove any dirt or schmutz that has built up there. 7. inspect the tires, I’m looking to make sure the tires are not cracked, have not split, and don’t have any serious ridges from where the blade sits. 8. remount the blade, recheck the tension. … and life is good again!! 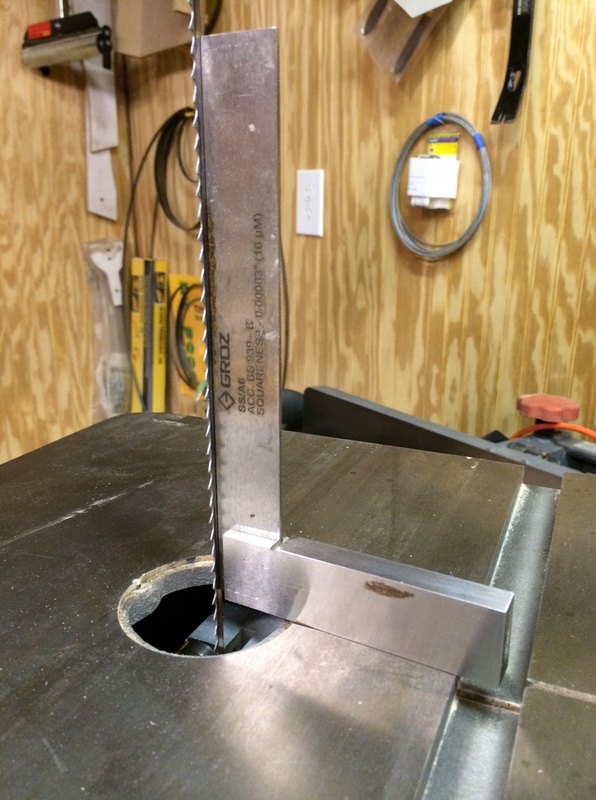 This entry was posted in Shop stuff and tagged bandsaw tuneup, power tools, tool maintenance on April 25, 2014 by bkbiggs. 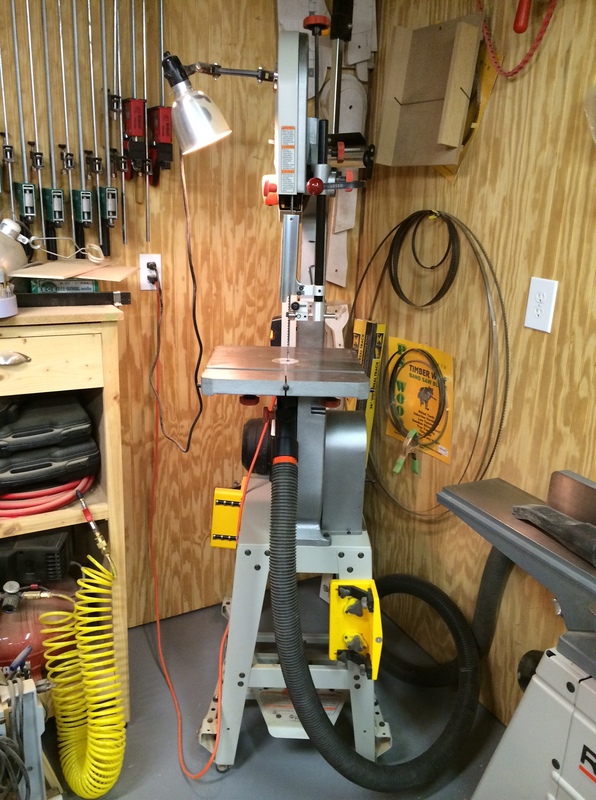 I need to clean my band saw, too. Thanks for the impetus.